The local team on their home turf. Photo by Sharael Kolberg. 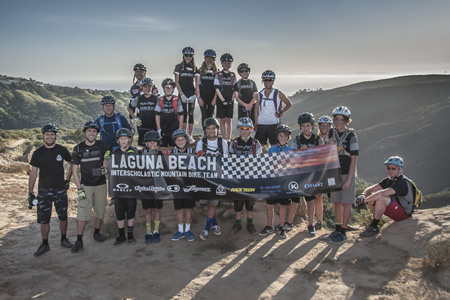 The Laguna Beach Interscholastic Mountain Bike Team recently participated in their second National Interscholastic Cycling Association race, a six-mile course with 275 feet of climbing at Castaic Lake in Los Angeles. Six middle school riders completed the cross-country course with one top 10 finish for the girls.